This is the first of 2 projects we are working on to support the roughly 150 children around La Paz in Bolivia who lack even basic diabetes care. The centre we work with, Vivir con Diabetes, is an excellent resource that holds weekly meetings to train and support both the children, but equally as importantly the parents of these children. This centre does a fantastic job but can’t help everyone because there are many who can’t afford to go to the centre or simply live too far out of La Paz to make the regular trips. 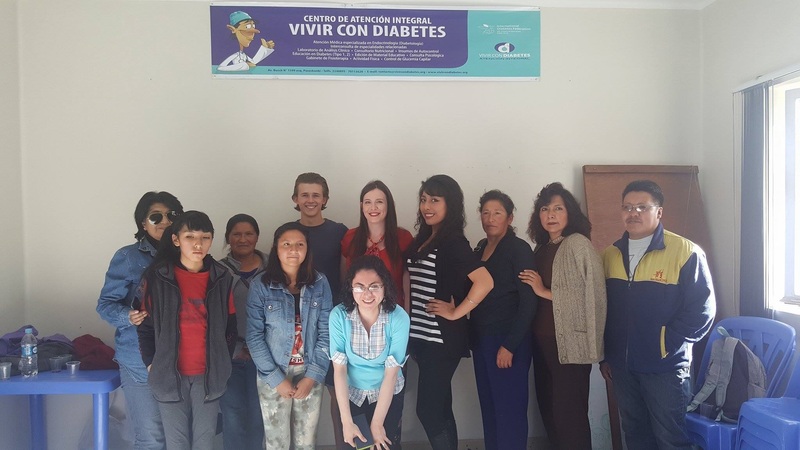 One of the major issues facing type 1 children in Bolivia is a lack of information. This is significant because even if you can provide the right equipment and supplies, without the complex knowledge needed to understand how to treat themselves, the hard work it takes getting them these supplies becomes wasted. From their expert understanding of the issues faced, the centre have proposed that the best way to solve this issue is to collect all the vital information needed into one concise booklet that can then be distributed to the child upon diagnosis. This means that there is no longer a need for long and expensive trips to the centre. And in an emergency they can find exactly what they require all in one place. Another crucial bonus is that even the centre lacks accessibility to much of the information that we have access to through our clinics. Therefore these booklets can benefit and make a massive difference to the lives of both those living outside of the city, as well as those who do have access to the centre. The content must be in depth and cover all the major issues. But at the same time it needs to be written in an easy to understand manner without the technical jargon. Many in Bolivia are poorly educated. They need to then be translated to Spanish (This is something we can do in bulk once we have all of the information together). There needs to be images and diagrams so as to make them easier to understand. The information needs to be well structured in a meaningful way that can be understood quickly in an emergency. The booklets need to be printed in a durable format. Decide on all of the information that will be needed and break into categories. Write all of the content for each of these categories. Arrange these categories into the most logical and easy to follow order. Get everything translated into Spanish. - Alternatively, we are going to look into the ability to have them printed directly in Bolivia. The biggest thing we need first off are people willing to volunteer and help in gathering all of the information and send it across. Ideally this would consist of 2 or 3 people (but if more then even better!) from the outset of this so that we can all track the progress together and get this done in the shortest time possible. Please email us at enquiries@dreambigtravelfarblog.com to volunteer yourself. Or alternatively fill out our contact form. After this we will be needing donations. We are unsure of the full cost of this project but imagine most of the budget would fall under printing and shipping costs. Here is a link to our fundraising page. Please note, we are running 2 campaigns. This project is the first and so money will initially be spent on getting this completed and sent out. Any remaining funds will then be spent on our second project which you can read about here. We are focusing primarily on getting this done first and then will be moving all of our energy to the second project. "In The Middle Of Every Difficulty Lies Opportunity"